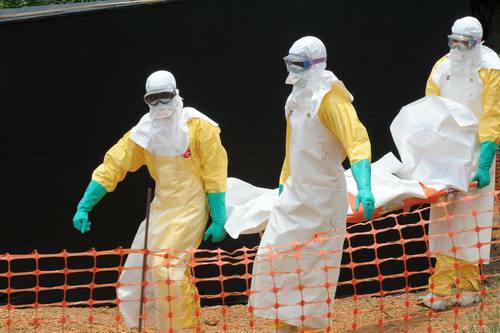 Lagos State Government today revealed that they have been quarantined by the health department after being exposed to the late Patrick Sawyer, the Liberian citizen who passed away in Lagos due to the Ebola virus. The Lagos State health commissioner, Dr. Jide Idris, revealed this today during a press briefing with journalists. At the meeting, officials of the Federal Ministry of Health were also present. Idris went on and stated that the quarantine was to make sure that the virus is controlled and doesn’t spread to other residents of the large state. He said: “So far a total of 59 contacts have been registered consisting 44 hospital contacts, 38 healthcare workers and six laboratory staff. “Others are 15 airport contacts comprising three Economic Communities of West African States (ECOWAS) staff-driver, Liaison, and Protocol officer, Nigerian Ambassador to Liberia, two nursing staff and five airport passenger handlers. He also said that the manifest of the Asky Airline Flight No KP50 that brought the victim into the country is still unknown by the airline therefore the precise number of passengers is still at large. The Ebola virus has been since last year / beginning of 2014, killing people in Western Africa, and ECOWAS have been looking for a way to limit the spread. However, this is the first time it has been reported in Nigeria since the outbreak.